Porter Airlines today announced its third interline agreement in the past sixth months, this one with Singapore Airlines. It’s a development that that adds yet another layer of intrigue to the fascinating competitive jockeying taking place among the Canadian big three — WestJet, Air Canada and Porter. 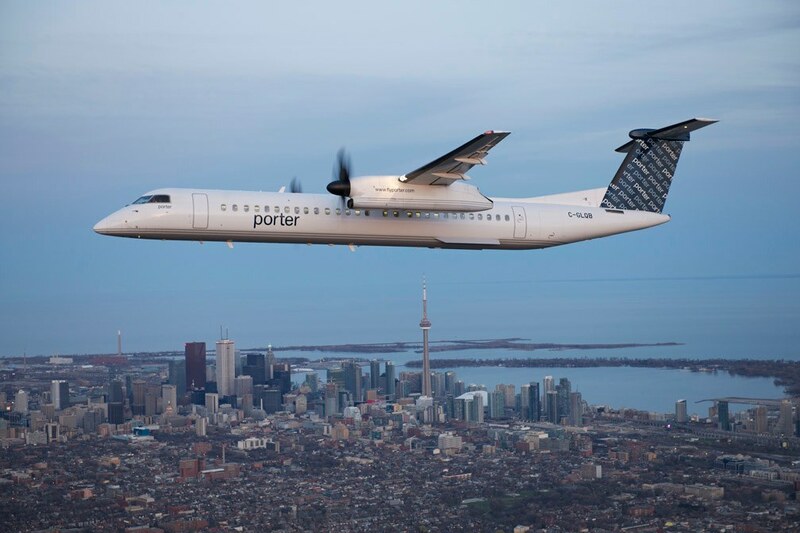 Porter, for those who don’t know, flies Q400 turbojets out of Toronto’s Billy Bishop Airport (CYTZ, formerly known as City Centre and the Island Airport), located right downtown via a short ferry ride. It’s attractive service if you’re a businessperson or if you live in Toronto’s city core. It saves having to make the miserable drive out to Pearson (CYYZ), a commute that’s particularly dreadful if it’s at rush hour. Porter’s airplanes and terminal are modern, the service is good. You can fly Porter from Toronto to Montreal, Chicago, Boston, Washington, New York and Halifax, just to name a few destinations. Singapore flies into Newark’s Liberty International (KEWR), as does Porter from Toronto, and that’s where the two airlines will swap passengers (an interline agreement allows passengers to travel on both airlines using one ticket; it’s less formal than a code-share agreement, which allows airlines to sell seats on each other’s aircraft). The three interline agreements that Porter has signed have to be viewed in context of the service Air Canada has recently added out of the Island and the service that WestJet plans to eventually introduce to Toronto with its new regional, Encore. Encore will run Q400 service to what will almost certainly be many of the same destinations as Porter, except it will do so out of Pearson. Porter’s great strength and weakness is it flies out of the Island rather than Pearson. The strength is it’s convenient service if you live downtown. Porter’s glaring weakness, however, is that, unlike Air Canada and WestJet, you can’t connect to other airlines from the Island or to the vast networks both Air Canada and WestJet operate. (While Air Canada also has a handful of flights to Montreal from the Island, it will never amount to the robust schedule that Porter has — nearly 90 flights a day — and will continue to focus its operation out of Pearson). So. The three interline moves Porter has made are defensive in nature, and they’re smart defence insofar as they begin to add to Porter’s network and convenience. WestJet plans to use Encore as a feeder to its mainline, which goes across Canada and much of the U.S., Mexico and the Caribbean using 737s. While it won’t be able to offer the downtown convenience that Porter can, it will be able to connect to places Porter can’t. But Porter’s interline deals put in place structure that will begin to erode WestJet’s advantage. If they get more, and they likely will, that advantage erodes further. Porter also has interline deals with South African Airways and Qatar Airways. South African flies into Washington’s Dulles (KIAD), as does Porter. Qatar flies into Dulles and Montreal, as does Porter. So Porter now has three airlines under its belt, and has taken three airlines away from WestJet as possible partners. WestJet has been aggressively adding code share and interline partners in the past few years. The Singapore deal has the added bonus of allowing Porter to tweak Air Canada’s nose. Singapore and Air Canada are already partners via the Star Alliance. Here is one of Air Canada’s partners signing an agreement with one of its local rivals. Moreover, Singapore doesn’t fly into Toronto, or Canada, for that matter, and relies on the Star Alliance to do so. So Porter is mowing Air Canada’s lawn with this one. And by the way, South African is also a Star Alliance member, so this is the second time Porter has pulled this off. Aviation geeks are, of course, watching to see how this plays out. Once WestJet enters the market with its Q400s (it likely will set up a regional hub in Calgary before Toronto and the announcement of its initial schedule is due in the next few days), there will be a great deal of price slashing and many more seats suddenly available in the marketplace. Will Porter be strong enough to weather the coming storm? Porter’s announcement of its interline with Singapore appears to be part of its determination to shore up of the bulwarks before the winds begin to howl. This entry was posted in Airlines, Industry News & Commentary and tagged Air Canada, Billy Bishop Airport, Encore, Porter, Qatar, Singapore, South African Airways, Star Alliance, WestJet on January 28, 2013 by Craig Daniels.